WASHINGTON — There is mounting evidence that Chinese ground troops are operating inside Afghanistan, conducting joint counter-terror patrols with Afghan forces along a 50-mile stretch of their shared border and fueling speculation that Beijing is preparing to play a significantly greater role in the country's security once the U.S. and NATO leave. The full scope of China's involvement remains unclear, and the Pentagon is unwilling to discuss it. "We know that they are there, that they are present," a Pentagon spokesman said. Yet beyond a subtle acknowledgement, U.S. military officials in Washington and in Kabul would not respond to several detailed questions submitted by Military Times. This dynamic stands in stark contrast to the two sides' feisty rhetoric over their ongoing dispute in the South China Sea, and to Washington's vocal condemnation of Russian and Iranian activity in Afghanistan. One explanation may be that this quiet arrangement is mutually beneficial. Both the Chinese and Afghan governments have disputed reports of joint patrols inside Afghanistan. Those first surfaced late last year when India's Wion News published photos claiming to show Chinese military vehicles in a region called Little Pamir, a barren plateau near the border. Reuters, an international news agency, also recently documented the development. The vehicles were identified as a Dongfeng EQ 2050, which is the Chinese equivalent of a U.S. Humvee, and a Norinco VP 11a, which are like the mine-resistant MRAPs developed by the U.S. military last decade. China maintains that while its police forces do conduct joint counter-terrorism operations along the border, based on existing bilateral agreements between the two nations, the People's Liberation Army does not. But then there's this peculiarity: In January, Chinese media circulated a report about Chinese troops allegedly rescuing a U.S. special forces team that had been attacked in Afghanistan. The story is likely bogus propaganda, and U.S. officials in Afghanistan say no U.S. personnel have been part of any operations involving Chinese forces, but it would seem to underscore the two countries' shared interest in combating terrorism there. But why is China even interested in Afghanistan? There are two motivators: security and commerce. The first, says Franz-Stefan Gady, a senior fellow at the East-West Institute, centers around China’s desire to eradicate a Uyghur militant group known as the East Turkestan Islamic Movement, which has been active throughout the region for many years. Its feud with the Chinese government dates to 1949. The U.S. State Department designated it a terrorist organization in 2002. More recently, Uyghurs fighting with the Islamic State in Iraq have vowed to wreak havoc back home in China. The U.S. military is not expressly targeting China's adversary though its continued presence in Afghanistan does further China's objective by helping to secure the country and deny sanctuary to rogue terror groups. Today, there are about 15,000 U.S. and NATO troops in Afghanistan, down from nearly 130,000 during the war's peak. They're spread across a handful of bases, focused on teaching the Afghans how to fight their enemies independently. A separate U.S-led counter-terror mission is focused on taking out high-profile leaders within al-Qaida and its affiliates. But as coalition forces have pulled back, security has eroded, leaving ripe conditions for militants — be it the Taliban, al-Qaida or Uyghurs — to move in. The top American commander in Afghanistan, Army Gen. John Nicholson, last month called the 15-year war a stalemate, raising the possibility that the U.S. and its allies could once more expand their footprint. Long term, however, the goal is to extract. "Beijing," Gady said, "has expressed repeated concern over the diminished Western foot print in Afghanistan." Border security and broader stability are of prime concern to China, said Sung-Yoon Lee, a professor of U.S.-East Asia relations at The Fletcher School of Law and Diplomacy. So its "law enforcement actions inside Afghanistan in cooperation with Pakistan, as the U.S. draws down, serve Beijing's interests quite well." The U.S. is dependent on this assistance, he said. "Hence, there's no compelling reason for China not to resort to military force in its unstable western neighbor." It's a unique dilemma for Washington. On the one hand, China's assistance in war-torn Afghanistan is seen as helpful. All the saber rattling in the South China Sea — to include China's militarization of several man-made islands — is not. So the U.S. appears willing to cooperate where it can, and confront where it must. 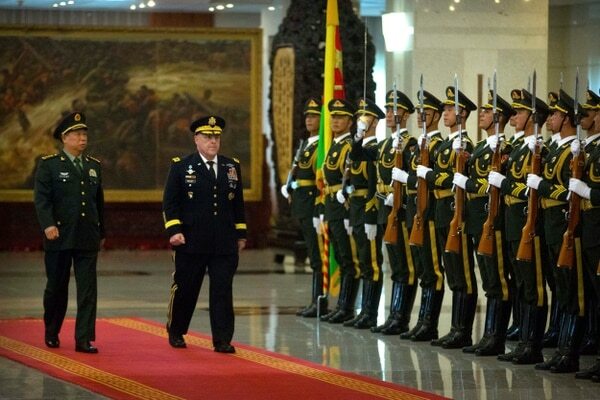 "A stable Afghanistan is in the interest of both the United States and China," Gady said. "I assume there must be a tacit understanding that China's involvement in Afghanistan is welcome up to a point." China's financial interests revolve around Afghanistan’s abundance of natural resources and minerals, and its access to Central Asian markets. Beijing sees Afghanistan as a vital link for its "One Belt, One Road" initiative, an economic policy that seeks to connect Eurasia to China. "China," Gady said, "has been seen as a 'free rider' — gaining economic benefits by exploiting the country’s natural resources while not contributing to the political and military solution of the conflict. So it is not surprising that as Western engagement in the country diminishes, China gradually steps in to fill the void to secure its interests." In 2015, after the Taliban reclaimed Kunduz, a strategic city in northern Afghanistan, Beijing agreed to cooperate with Kabul. It pledged $73 million to support Afghanistan fledgling security forces. 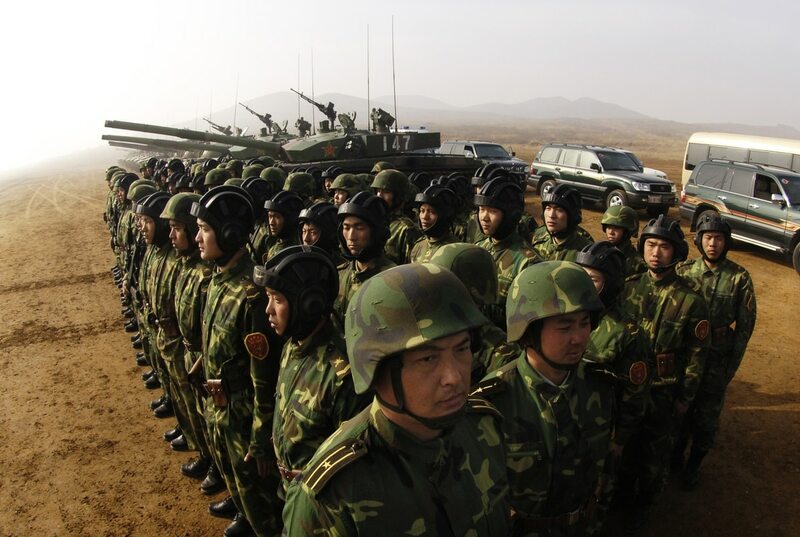 Afghan border police also are being trained in China, and the Chinese government is providing military hardware, including bullet proof jackets, demining equipment and armored police vehicles. Lee does not view this as a softening stance between Beijing and Washington. There are too many other disagreements, he noted. Beyond the South China Sea, the U.S. wants China to do more to keep North Korea in check and to lay off South Korea, which intends to deploy a self-defense anti-ballistic missile system. 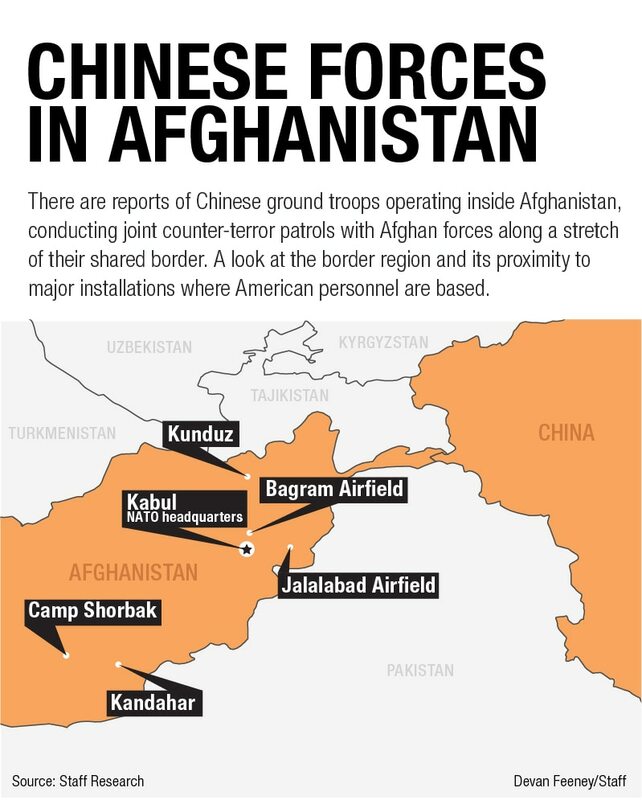 And the notion of Chinese forces pushing deeper into Afghanistan, beyond the border region, strikes Gady as unlikely — at least in the near term, while the U.S. and its allies are there in significant numbers. "China's security footprint," he said, "will remain small and insignificant in comparison."